Today we are using the keyboard covers and please take care of these--as they are only cardboard and are very expensive. I only have one class set and if one is damaged we will be short! Please put them up and complete your next Typing Jungle lesson in Typing Club. REMEMBER--we are focusing on ACCURACY no speed right now. You need to earn a 90% or higher score on each lesson to move on to the next! Muscle memory takes time. Make sure you keep good form! Please go to TypingClub now! After you have completed you typing lesson, please scroll to the bottom to view both videos. The first one is going to tell you all about your Google Drive. The second one is a description on the activity you are going to complete today. 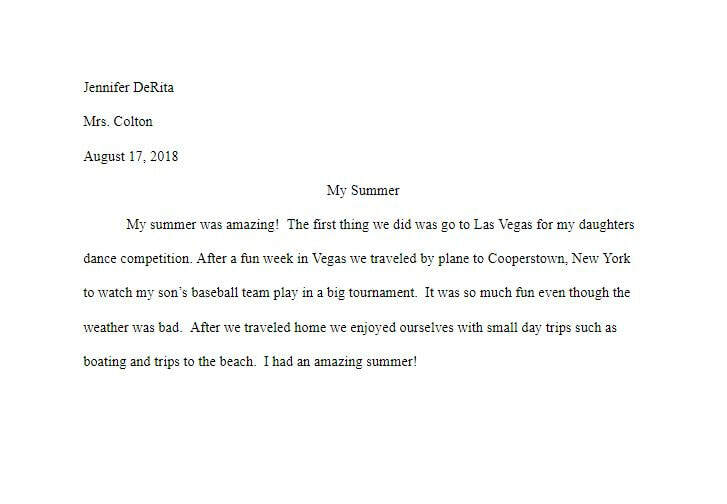 You are going to write a short paragraph in Google docs telling me about your summer! We are going to learn and use a few of the formatting features that are on the Google tool bar. Please make sure you complete BOTH videos before you begin your paragraph. 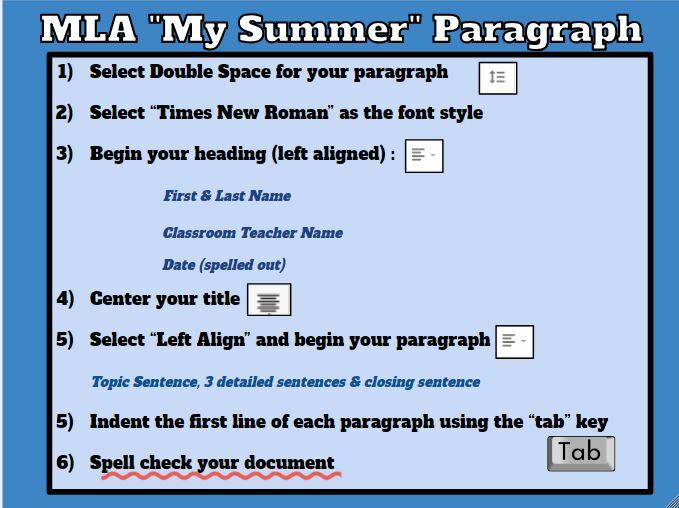 The formatting directions and an example of a paragraph can be seen below!